I have fond memories as a teenager of visiting the California State fair each summer with my friends. After the cost of admission, parking and food the California State fair can get expensive for a family. Did you know there are several ways you can save money and even go to the fair for free? Disclosure: This post is sponsored by California State Fair. I am receiving complimentary media pass in exchange for fair promotion. 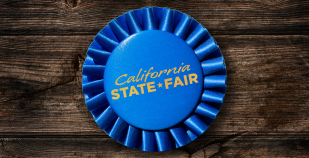 Every Monday, bring at least 3 non-perishable food items per person to the California State Fair before 3 p.m. and receive free same day admission. All donations will benefit the Elk Grove Food Bank. Wells Fargo $2 Rides For All & Kids Free Day is a great deal for families. Any child age 12 or younger receives FREE admission on Tuesdays. Even better, all rides are just $2 no matter your age! 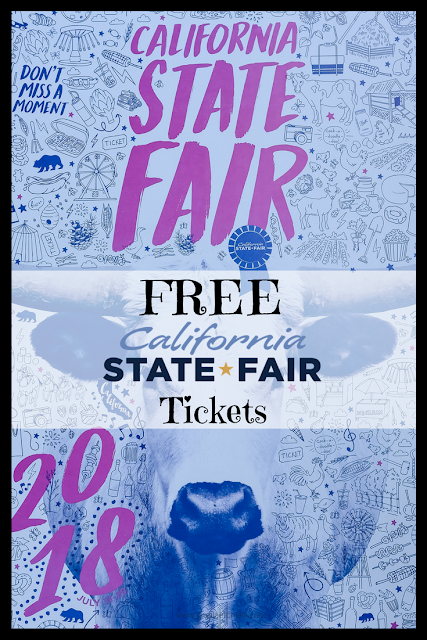 For free admission, veterans or military personnel must present valid military ID or proof of service at the California State Fair’s Box Office. NEW in 2018: Free admission is expanded to include Active Duty Spouses and Dependents until 3:00 p.m. (must show valid military ID). As a special thank you for their hard work and bravery, active members of law enforcement, firefighters and first responder units can enjoy free Fair admission on July 26, courtesy of BloodSource. All fairgoers can enjoy a day of fun celebrating first responders complete with special exhibits, interactive activities, one-day-only entertainment and much more. For free admission, active first responders must present ID at gates, showing first responder status. Offer does not include admission for family members or dependents of first responders. Have you ever been to the California State Fair?